﻿Gladiolus kamiesbergensis grows in western South Africa and Namibia. 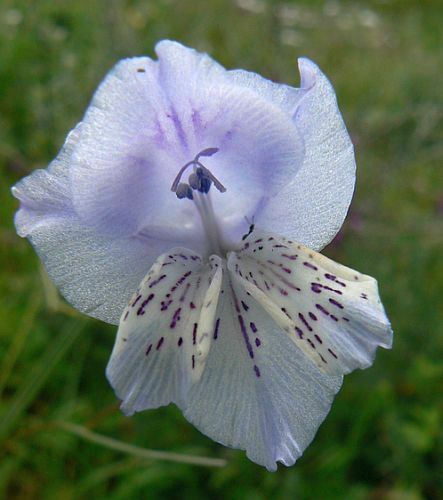 It grows 45-90 cm tall with pale lilac flowers and purple dots within and on the reverse of the tepals. The flowers are sweetly scented. The lower lateral tepals are yellow on the lower half of the limbs.